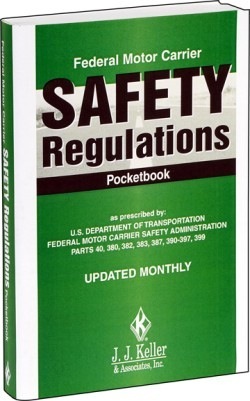 The Federal Motor Carrier Safety Regulations set forth rules for certain individuals traveling through interstate on business. Generally, employers, employees, and commercial motor vehicles transporting property or people across states are subject to the provisions in the Federal Motor Carrier Safety Regulations (“safety regulations”). Failure to follow the rules outlined in the regulations, or any other laws, can have a significant impact on a personal injury claim. If you or your loved one has been injured in a trucking accident or incident, contact Persons Firm today for a risk-free initial consultation. Drivers who are subject to the safety regulations must comply with the federal alcohol concentration limit of .04%. If a person’s blood alcohol content is above this limit, the individual will be considered under the influence regardless of what the state legal limit is. However, if a particular state has a legal limit which is less than the federal limit, the individual can still be found to be driving under the influence of alcohol. A driver may also be found to be operating a motor vehicle under the influence if he or she is under the influence of a controlled substance or narcotic. The safety regulations also impose a higher standard of care when driving in hazardous road conditions such as fog, snow, ice, mist, rain, or smoke, as well as anything that presents a risk of reduced visibility or traction. Generally in these conditions, the safety regulations provide that speeds should be reduced. However, a question also arises about how dangerous the conditions were at the time of the accident. This is because the safety regulations provide that when the roads are sufficiently dangerous, operation of the commercial motor vehicle should be discontinued. Therefore, a determination must be made whether a violation occurred, which is extremely complex. That is why you need the assistance of an experienced attorney who has handled these types of personal injury cases before. Attorney Ben Persons has extensive experience representing injured victims as well as prior experience in defense work for commercial accidents. Truck drivers are known to drive long hours each day. Since most drivers are paid by the hour, truck drivers travel thousands of miles each week and are likely to become fatigued on the roadway. The safety provide that drivers may not operate commercial vehicles while their ability or alertness is impacted or likely to become impaired because of an illness or fatigue.